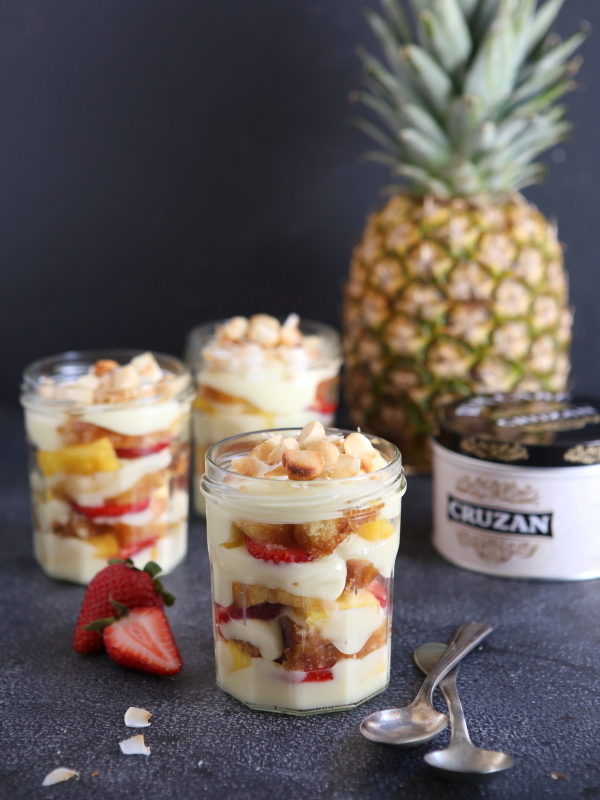 Layers of coconut cream, rum-soaked cake, chunks of pineapple, mango and strawberries, with toasted coconut and macadamia nuts— it’s a tropical delight all packaged up in a little jar! Post sponsored by Hanau Liquor Cakes. The long wait is over and winter is only a distant memory. Bring on backyard barbecues, trips to the beach, and lots and lots of sunscreen. I’m craving campfire s’mores and popsicles. 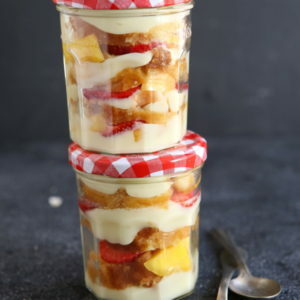 Also, I demand that you add a trifle to your summer bucket list, because every summer needs at least one trifle. Layers of fruit, cream and cake— it just doesn’t get much better. Oh, unless you add some liquor. I was delighted when my package of “cakes with a kick” arrived from Hanau Products. They’ve teamed up with Cruzan® Rum, Jose Cuervo® Tequila and Jim Bean® Bourbon to combine two of my great loves— cake and liquor. 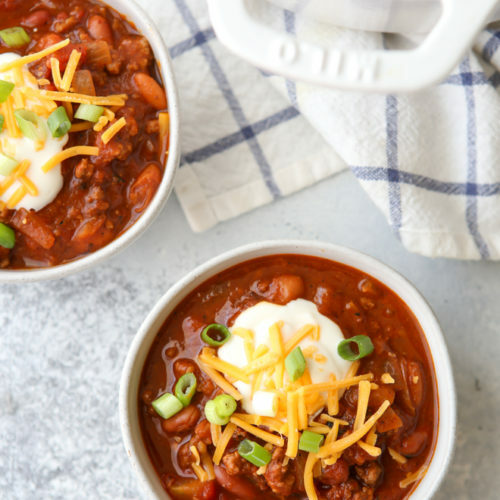 They are moist, flavorful, and fun! This week starts their online crowdfunding campaign. Visit their campaign page to learn more, pledge your support, and get your own liquor cakes. 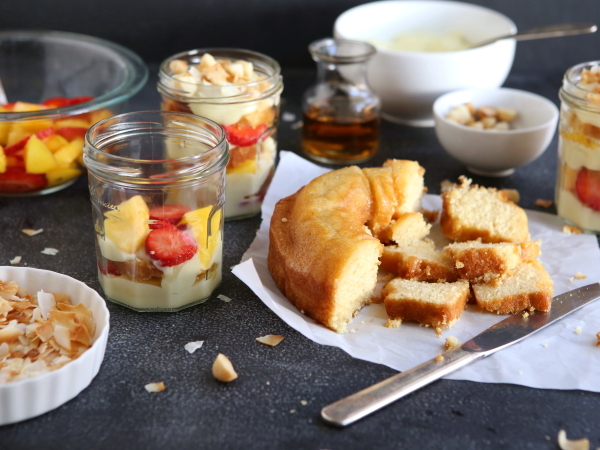 When Hanau asked me to develop a recipe using one of their liquor cakes, immediately I thought of a fun summer trifle. With the rum cakes calling out to me, a tropical theme was the way to go. I made an easy homemade coconut custard, and soaked pineapple, mango and strawberries in rum before layering the whole thing together. 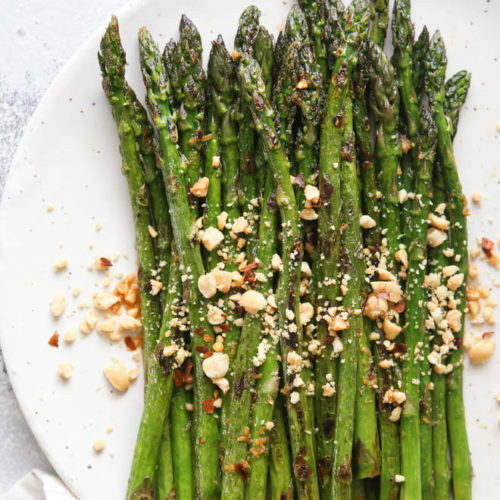 Toasted coconut and macadamia nuts complete the whole package. 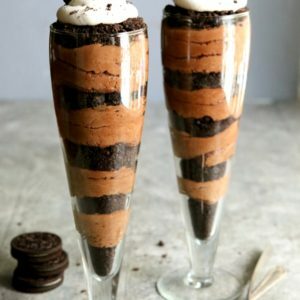 You can assemble the trifle in a large trifle dessert, or use small glasses or jars for individual desserts. I love how using jars with lids makes them easy to store and take on the go (think fun summer picnic!). Layers of coconut cream, rum-soaked pound cake, fruit, toasted coconut and macadamia nuts make this an irresistible tropical dessert. 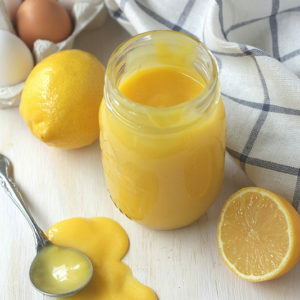 Whisk together the sugar, cornstarch, milk, coconut milk and egg yolks in a medium saucepan. Cook over medium high heat while stirring constantly until thickened, about 5 minutes. Pass through a mesh strainer to remove any lumps. Chill completely. Can be made up to 3 days in advance. Store in the fridge. Toss together the strawberries, mango and pineapple chunks with the sugar and rum. Let sit for 15 minutes. Strain fruit and reserve the liquid. Brush the cake chunks with the rum/fruit liquid. 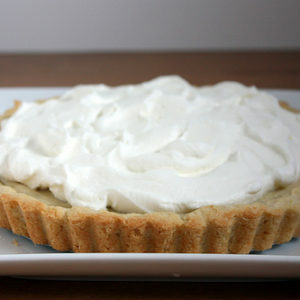 In a large trifle or glass bowl, or in individual glasses or jars, add a thin layer of coconut cream. 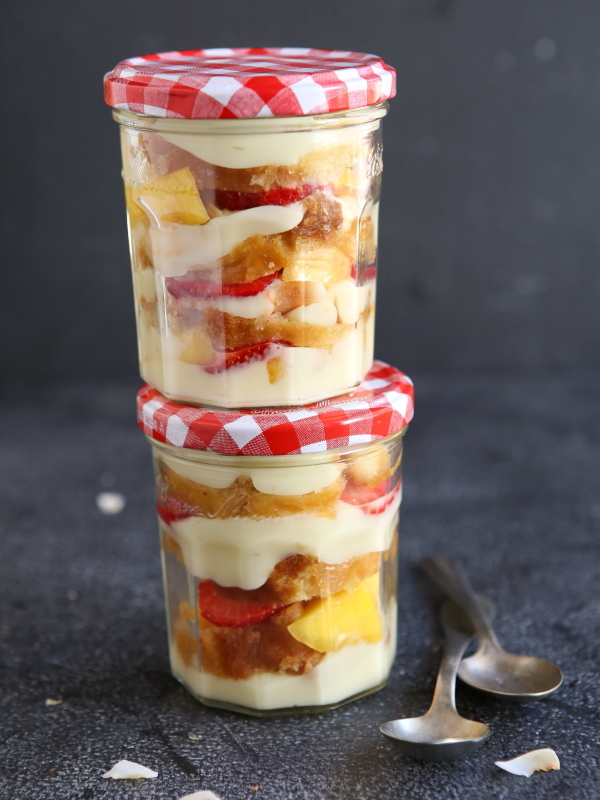 Arrange a layer of cake chunks on top, followed by a layer of fruit. 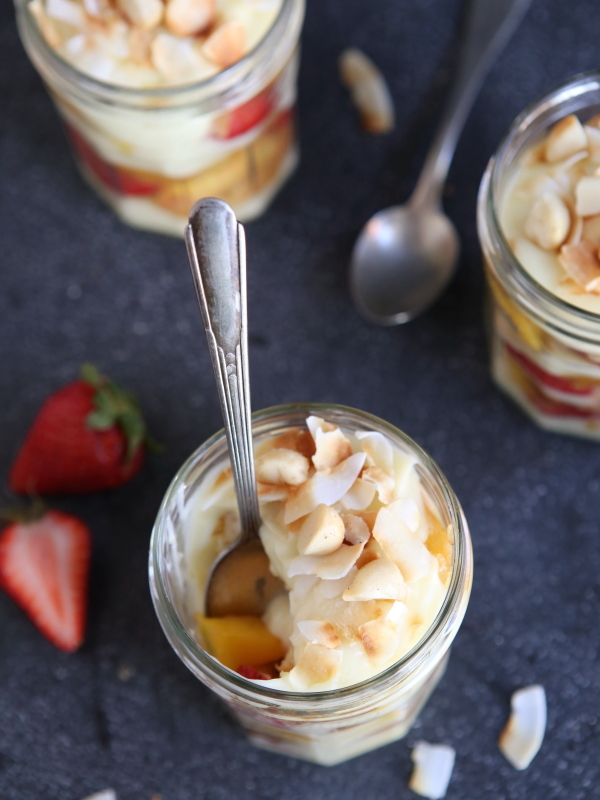 Top trifle(s) with toasted coconut and macadamia nuts. Note: The longer the trifle sits in the fridge, the soggier its appearance. For best appearance, serve within 2 hours of assembly. Disclosure: This post is sponsored by Hanau Premium Liquor Cakes. All opinions are my own, as always. Find Hanau Premium Liquor Cakes online through their website, Twitter, Facebook and Pinterest. Omg OMG, I am freaking out over these. 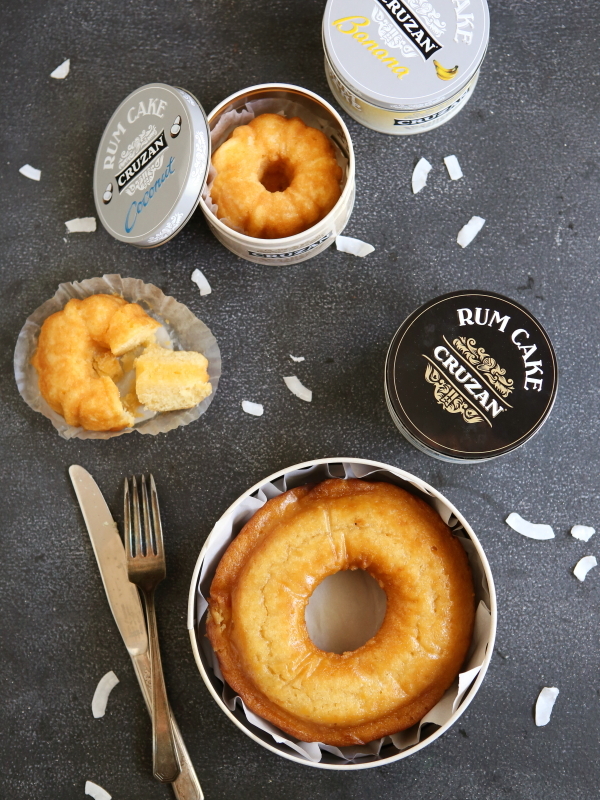 My hubby and I first tried Rum Cake when we went to the Bahamas a few months ago..and I STILL HAVE ONE sitting in my pantry. Um, this is amazing and it’s happening to my face..for breakfast. These trifles are pretty. Rum in a cake then making it a trifle is the way to go. Literally drooling over here. Holy hell, these sound amazing! I don’t even like trifle, but man that looks and sounds amazing!! Ok this looks so darned good right now. I need one. Not sure if the company is still producing these cakes, but you are welcome to reach out to them. Se ve delicioso, se me hizo agua la boca, que exquisita combinación de sabores o lo mejor que se puede preparar unos días antes del evento y me encantó la opción de los frascos con tapa. GRACIASSSSSSSSSSSSSSSSSSS, Desde Caracas Venezuela.